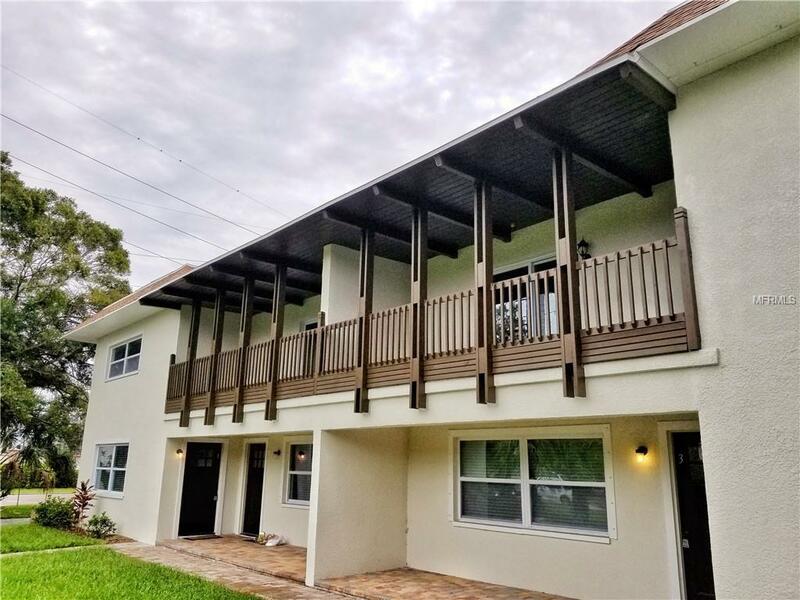 Come see this completely remodeled and renovated townhome. Only 4 units in this small quiet community. Over 1500 square feet of wonderful finishes and space. Brown wood look ceramic tile on first floor and throughout kitchen. Corian counter top island with double sink, white shaker cabinets, and stainless steel appliances complete this modern complementary look in the kitchen. Second floor houses new carpet and three bedrooms a common full bath and an en suite complete with a large walk in shower. Each unit has a private rear patio (uncovered) for your outdoor enjoyment. Ample parking for residents and location allows for easy commute to beaches, downtown, and/or interstate. Pet friendly!! Call now to reserve your private showing!! Listing provided courtesy of Russell Property Group Llc.